Whatever you/ your child feels comfortable in and moves easily in for example tracksuit bottoms/leggings and T-shirt. All uniform can be purchased directly from the school. Are all teachers DBS checked? Yes, all teachers are fully DBS checked. Are all students fully insured? Yes, all students and teachers are fully insured. Can I stay and watch my childs lesson? Not every week, but with new young students you may watch the childs lesson until they have settled in. There are termly open days when parents, grandparents and siblings/friends can come and watch weekly classes. 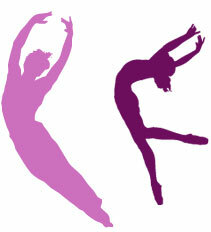 All dance fees are payable by the first week of the term. Students must give a written term's notice before withdrawing from a class. There are no refunds for classes missed. A full term's notice must be given before withdrawing from a class otherwise students will be liable for a full term's fees. Yes, private tuition is available, please contact the school for information. How often can I expect to take an exam? Normally every 12 to 18 months for graded examinations. Vocational graded examinations, which can be taken from 11 years, are for the more serious student. These exam courses are usually for a minimum duration of two years. Students are always considered individually when being advised and entered for examinations. Do students have performances opportunities? Yes, students take part in a performance every year to eighteen months. Students have performed with the English Youth Ballet in Torquay and Yeovil, and in regular pantomines and Christmas productions, as well as Wightmore School of Dance productions. How do I know which class is suitable for my child? If you are interested in any of the classes within the school, we can recommend a class for you/your child to try, and then see what suits you/their individual needs. Is there a registration enrolement fee? Yes all students must fill out an enrolement form and pay a £20 registration fee by the second lesson of the term. Students are welcome to join the school at any time during the term and the fees will be adjusted accordingly.